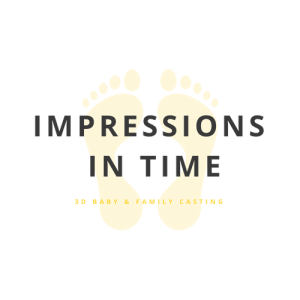 Impressions in Time specialise in creating beautifully handcrafted framed 3D hand and foot casts of your little ones giving you a keepsake to treasure for years to come. 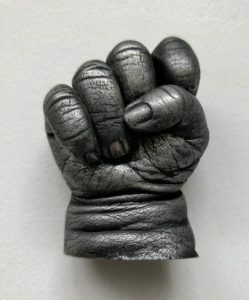 Each cast we take captures all the details of your baby’s precious hand or foot, from little wrinkles to creases and those tiny nails. The materials we use are safe for babies from birth. 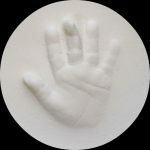 Having recently had a baby, we know how difficult and stressful it can be during those early months to get out of the house for an appointment, that is why, for a small fee, we offer a service where we are happy to come to your home to take the mould of the baby’s hand or foot. This ensures that both the parent and the baby are comfortable and relaxed. 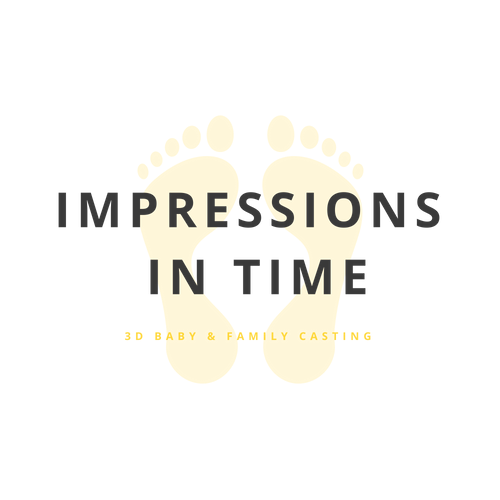 Click here to find out more about our 3D casts and mobile service. 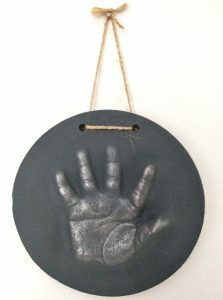 We have also developed a range of alternative, beautiful keepsakes to suit your taste and budget. 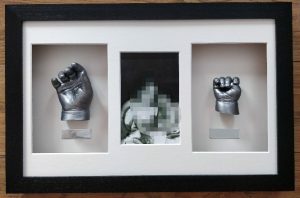 Our range of 2D raised impressions offer an affordable alternative to 3D casting and can be framed or unframed to be displayed wherever you wish. 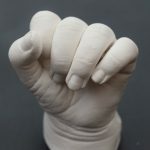 Additionally, Impressions in Time now also offer hand holding casts to capture a special moment – either between an older and younger sibling or a parent and child. We also offer hand hold casts to mark a special moment in a couples’ life – an engagement, wedding or anniversary. Additionally, we offer gift vouchers, which make the perfect present for a baby shower or for new parents! Click here for more information. 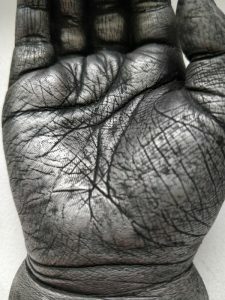 We look forward to meeting you and working with you to create a truly unique and treasured keepsake.